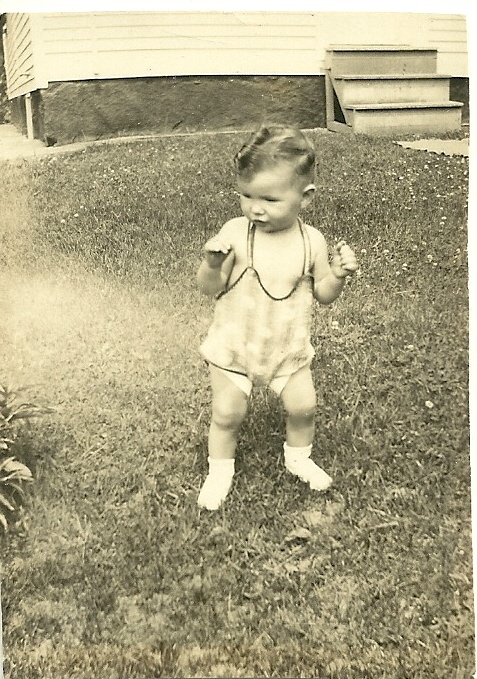 Little snapshot of Dickie Angell at 10 months. 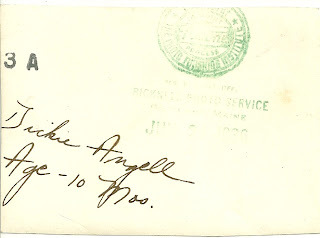 There's an imprint on reverse of the Bicknell Photo Service of Portland, Maine. 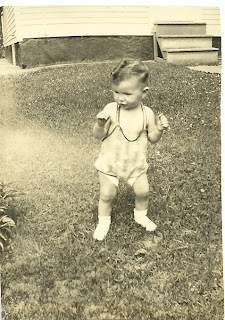 This is likely a photograph of the late Richard Leonard Angell, Sr., of Leeds, Maine, who was born in the 1930s.